During the opening evening of the North Sea Jazz Festival, in ‪Rotterdam‬, the Netherlands, scenes of a blackface minstrel show were displayed inside of the ‪Ahoy‬ Civic Center. 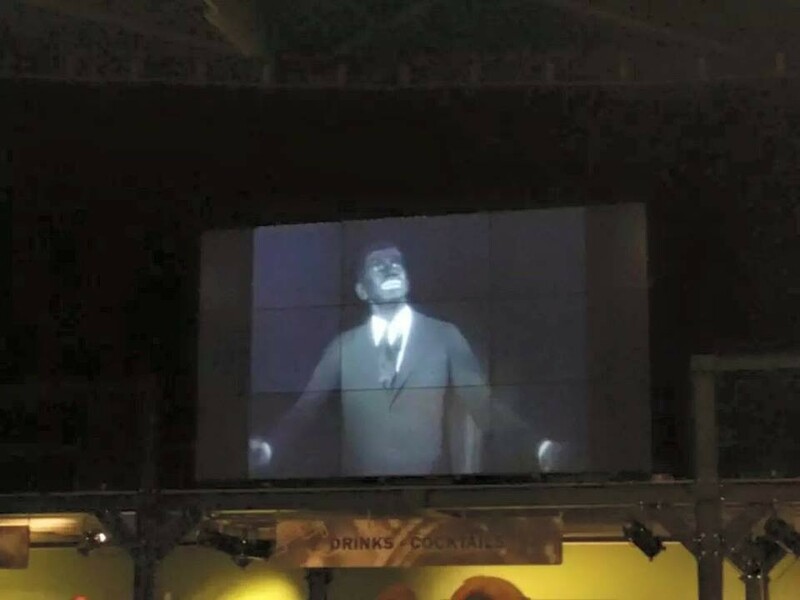 The footage that was being shown was of Al Jolson performing “Mammy,” in blackface. The images were displayed on a big screen in the food court area of the Ahoy. The Dutch Public Broadcasting network, NPO Cultura stated that the footage was not a part of their broadcasting of the NSJ. “This was not a part of our recap, it was NSJ narrowcasting (screens in venue),” Tweeted NPO Cultura. The broadcaster didn’t shy away from giving a reaction concerning the footage of the blackface minstrel show by saying that it was “alien, creepy, racist. But, with an interesting history behind it,” Tweeted NPO Cultura. The blackface jazz artists is said to have fought against discrimination of Black actors on Broadway. Organizers of the ‪‎NSJ have not responded to repeated requests for a explanation, on why the blackface minstrel show footage was shown. The Dutch have long defended its own culture of blackfacing and refuse to abolish the Dutch “Sinterklaas” blackface caricature “Black Pete”. Judith Julita de Hont has attended the the NSJ for approximately 12-years, she was the first to post photos of the Al Jolson blackface minstrel show onto Twitter. “The footage was shown after all the concerts were over in a area where you can buy food and souvenirs. When you sit down in this area, you have a clear view of a big screen. During the concerts they broadcast live footage of the performance onto these screens. After the concerts are over they show extraordinary live recordings of old performances. And all of sudden you saw the black and white minstrel show. Without any explanation or messages stating that it was racist. I have contacted the Twitter account of North Sea Jazz Festival repeatedly, I don’t expect to receive a response,” stated de Hont. White performers would paint their faces black prior to taking the stage. This black make-up was applied to the skin so that they would appear Black. Due to segregation, Blacks weren’t always allowed to performer. Which caused for White actors to play so-called “Black roles”. Michael Schaap from the Dutch broadcasting company VPRO believes that showing footage of a blackface minstrel show, during the North Sea Jazz Festival, isn’t a problem. Schaap Twitted: “Jolson was a cool guy”. 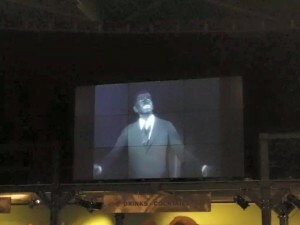 Schaap believes that blackface performers, such as Al Jolson, are a part of the cultural aspect of the festival. Jazz originated within African-American communities in the late 19th century. Blackfacing also originated in the 19th century. Blackfacing contributed to the proliferation of false negative stereotypes of people of African descent. Stop Blackface, has released a statement, wherein they denounce the use of the footage, at the ‪‎NSJ‬. They believe that images of a blackface minstrel show should not be displayed at such a festival. “Blackface is part of a history of dehumanization, of denied citizenship, and of efforts to excuse and justify state violence. From lynchings to mass incarceration, whites have utilized blackface (and the resulting dehumanization) as part of its moral and legal justification for violence. It is time to stop with the dismissive arguments those that describe these offensive acts as pranks, ignorance and youthful indiscretions. Blackface is never a neutral form of entertainment, but an incredibly loaded site for the production of damaging stereotypes…the same stereotypes that undergird individual and state violence, American racism, and a centuries worth of injustice. No matter the context, it should not be part of a festival celebrating a form of art which has its origins in the African-American community,” stated Stop Blackface citing Dr. David J. Leonard, Just Say No to Blackface: Neo-minstrelsy and the Power to Dehumanize.